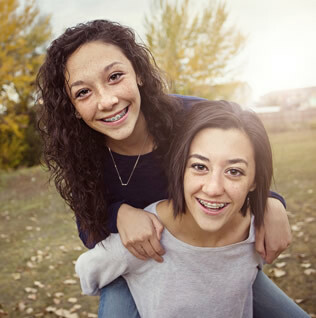 At Barone Orthodontics, we combine experience with innovation, offering our patients a combination of established evidence-based orthodontic techniques with the latest in technological advances in the field. We strive to provide relevant treatment options for the needs and lifestyles of today's patients. Our doctors and staff have years of experience working in orthodontics and working together as a team. We all love what we do. We are thankful for the opportunity to work with such an incredible, diverse group of people. Our patients enrich our lives every day and we are dedicated to giving back the same amount of enthusiasm, happiness, and commitment that our patients give to us. Each method of treatment that we offer has been chosen because of its effectiveness and efficiency. Each patient is reviewed by both doctors, together, and given a personalized treatment plan to meet the needs of the individual and to ensure continuity of care. With state-of-the-art technology, we have a 24-7 administrative office always available for our patients, 24 hours a day, seven days a week. At Barone Orthodontics, we strive to make each office visit a comfortable, worthwhile, easy experience. Our appointments run on time so that our patients do not spend their time waiting. Our offices are all-digital and fully integrated with digital X-rays, email appointment verification, text messaging and personal phone call appointment reminders, 24-hour online access to account information, and personal photo gallery and X-rays, as well as flexible payment plans and in-office insurance processing. Both locations, North Providence and Greenville, have ample parking and easy access. Please contact our North Providence or Greenville offices to schedule a complimentary orthodontic consultation with Barone Orthodontics.